This badge was issued to Haden Watne on 04 May 2018. 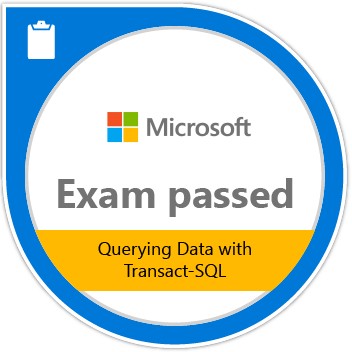 Passing Exam 761: Querying Data with Transact-SQL validates the skills and knowledge necessary to manage data with Transact-SQL. Candidates demonstrate the ability to program databases and query data.